This work is a series of short-form VR experiences that explore a selection of various interactive mechanics, specific to the spatial medium. Our focus on interaction comes from the belief that anything that exists in the dynamic environment must obtain a certain degree of dynamic properties. What is common for all experiences throughout the series is that at first predictable-looking environment starts to exhibit a behavior, that is less expected and even impossible outside of virtual reality. Instead of creating abstract-looking spaces, we aimed to explore abstract behaviors. We chose working with optical hand tracking using Leap Motion over better preforming handheld controllers for the sake of leveraging direct manipulation and untethered hand gestures. While lacking haptic feedback is a serious drawback of optical tracking right now, we consider being able to interact with virtual environment using your bare hands to be an important milestone that the medium will move towards in the future. This work was completed as a part of the joint final thesis project at Köln International School of Design and first publicly shown within KISDparcours exhibition on the 14th of July 2016. 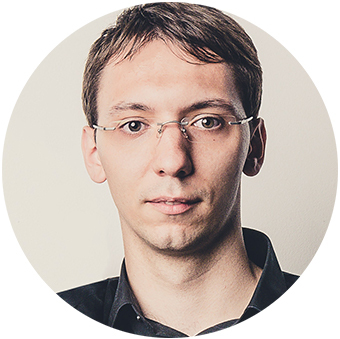 Eugene Krivoruchko works in the fields of digital design and creative technology, designing products and building interactive experiences for the web, mobile and VR. 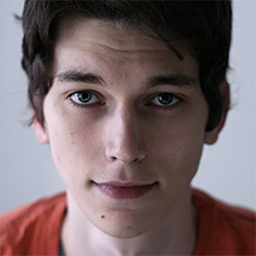 Ilja Burzev is a 3D-artist in linear and nonlinear fields of digital media, like image, motion graphics and realtime based applications for games and VR-experience.